As a parent of a high school senior and college junior, I'm keenly aware that it's a challenge to balance priorities in high school. And yet; academic, personal, and extracurricular choices pave the way for a student's own satisfaction and future plans -- as well as a stronger college application. I encourage striking a balance of enjoyment in the present, and planning for the future (which can often go hand in hand!). I've been known to ask, "are you spending your time doing things that matter most?" Forward-thinking conversations about priorities, academic choices, and how to identify and pursue personal interests, lead to self-aware and fulfilled students. And, those students are desirable applicants when applying to college. Beth Lyons has over 14 years of professional experience in higher education, primarily dedicated to working with students with LD/ADHD. Beth has extensive knowledge of the unique challenges students with LD/ADHD must contend with and has provided support to students and families from admission to graduation. Beth is available by special arrangement with College & Company to consult by phone or Skype with families who are navigating this additional aspect of the college experience. Families are invited to consult with Beth regarding issues such as: identifying the right college, criteria for admissions and degree requirements, the admissions process (and whether to disclose a learning disability in the application), campus resources, how to identify specialized services for LD/ADHD students, and documentation that is needed to receive services in college; IEP plans do not translate to college. Students with LD/ADHD are all unique individuals and Beth’s holistic approach ensures that each student’s specific needs and challenges are fully understood. Beth is eager to work with College & Company clients throughout their exploration and application process. 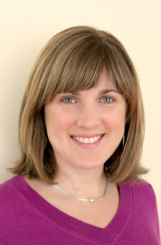 Beth holds a Master's Degree in Counseling Psychology from the University at Albany. She was raised in Saratoga Springs, and graduated from SSHS. She worked at Skidmore College as Disability Specialist before relocating to Chapel Hill, NC. She is currently at University of North Carolina at Chapel Hill as a Learning Specialist in Academic Support for Student-Athletes. Beth's children are in middle school and high school, and her family enjoys returning to the Saratoga Springs area as often as they can.